Today the famous Hungarian club MTK Budapest celebrates the opening of its brand new home stadium. 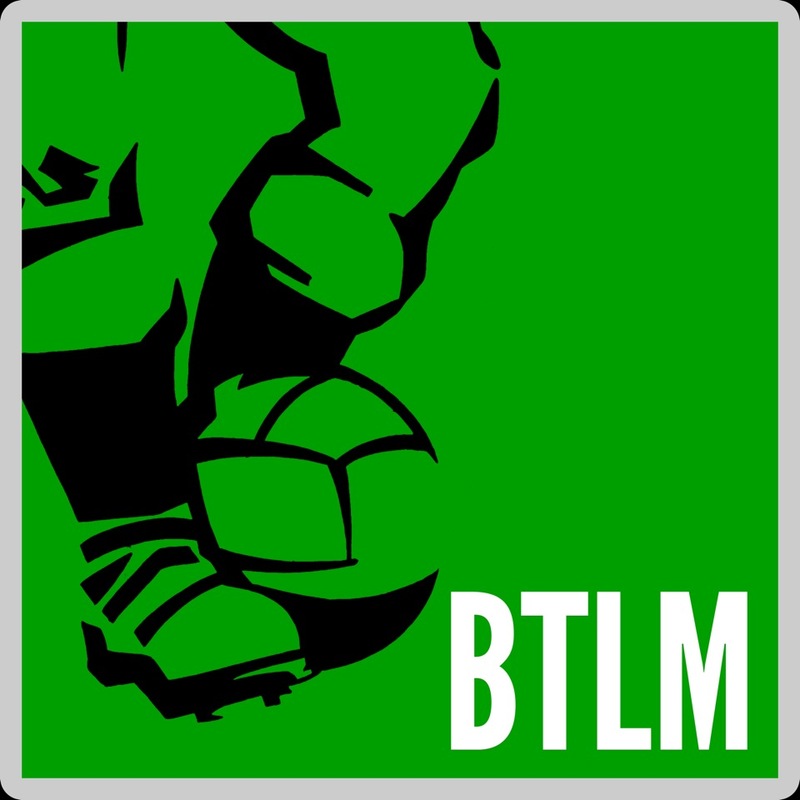 To tell us about that and provide a comprehensive and fascinating history of this great old doyen of the European game, we welcome writer and football travel guide specialist Peterjon Cresswell to BTLM. Few Cowdenbeath fans woke up this morning expecting their club to stand comparison with the second-most decorated in Hungarian football. MTK Budapest and The Blue Brazil were both formed in the 1880s, both play in blue-and-white and both attract crowds in the mid-hundreds – Cowdenbeath’s below the 500 mark after recent relegation, MTK’s closer to 700 thanks to a 10% increase in 2016. But there the similarities end. Cowdenbeath didn’t change football history. And Cowdenbeath aren’t owned by one of the co-founders of the country’s ruling political party. And, given that Fidesz boss and Hungarian prime minister Viktor Orbán is so football-crazy he built a stadium of international standard in his boyhood hamlet of Felcsút, it’s no surprise that his old friend Tamás Deutsch has been provided with the six-billion-forint wherewithal to build a whole new ground for the under-supported, 23-time Hungarian champions. Deutsch-owned MTK run out into the New Nándor Hidegkuti Stadium today to face Sporting Lisbon – their opponents in 1964 when the Portuguese side needed a replay and a fluky corner to beat the venerable Hungarian club in the Cup-Winners’ Cup final. The curtain-raiser certainly raises its own questions about the morals of a nation spending billions of forints on new football stadia – Felcsút, Debrecen, Ferencváros, Szombathely, Székesfehérvár, MTK and, of course, the former national Népstadion – when domestic league crowds don’t even reach a top-tier average of 3,000. But for soccer historians and Euro football romantics, the names of Nándor Hidegkuti and MTK evoke a lost era when Hungarian teams ran rings around everyone or ran aground trying. And these rings, these runs, these patterns of play, that bewitched the world from the late 1940s until a soggy day in Berne in July 1954, many were planned right here at the (old) Nándor Hidegkuti Stadium. As a club, MTK were pioneers, tactical revolutionaries whose early understanding of the passing game allowed them to dominate the Hungarian league then become the acknowledged masters of most in Europe. MTK founder Kálmán Szekrényessy could stroke his handlebar moustache in approval. This old-school adventurer, the first man to swim across Lake Balaton, the first Hungarian to swim the Bosphorus, the Straits of Gibraltar and the Suez Canal, had founded the Magyar Testgyakorlók Köre (MTK) in a Budapest coffeehouse in 1888. His wish was to offer Hungary’s young Jews the kind of opportunities otherwise closed to them in the Christian and aristocratic circles of the Habsburg era. This Circle, of Hungarian Fitness Activists, positively welcomed Jews, mainly from the middle-class families of the city’s 6th and 7th districts, Jews whose fathers had built Budapest with their enterprise and financial savvy. October 2016 also marks the 115th anniversary of this multi-sports club playing its first football match. Within a decade, MTK had hired a Scot, Jacky Robertson, a three-time title-winner and national captain at half-back, who came to teach these relative newbies the finer arts of two-footed ball control and passing on the deck. Certainly, Gusztáv Sebes, manager of golden-era Hungary, felt the need to praise Robertson in his book A Magyar Labdarúgás (published 1955) as the man who set the style for MTK. MTK won nine titles running, from 1917 to 1925, until the introduction of professionalism in 1926 when the seniors were renamed Hungária. Again, the great patriot Szekrényessy would have approved. He died in 1923, with MTK’s György Orth, Imre (‘Slózi’) Schlosser and Alfréd Schaffer at their peak. They shone in Hungary’s first golden team – three decades before the one that conquered England at Wembley. The four pillars of Hungary’s landmark 6-3 win of 1953 – the year that MTK (as Vörös Lobogó) beat Honvéd to the domestic title – all had long-term connections to MTK Budapest. Manager Sebes played for them, as did Béla Guttmann, who also had significant tactical input at national level. Guttmann had not long taken over from Ferenc Puskás Sr as coach at Kispest, the club Sebes helped convert to the army side Honvéd. The third was Márton Bukovi, the former Hungarian international whom MTK directors persuaded to leave a successful coaching post in Zagreb and return to Budapest in early 1947. The fourth, present that day at Wembley, the figure to whom the victorious Hungarians ran to salute after their status-smashing 6-3 grand slam, was Jimmy Hogan. The Lancastrian, who had seen season after season of Scottish interplay while at Burnley and Bolton, had arrived at MTK shortly after Robertson, initially as a World War I internee. Hogan is credited with creating the Danubian School of football, of swift passing, running off the ball and positional interchange. Bukovi perfected it. With two strikers of rare quality – Péter Palotás and Nándor Hidegkuti – at his disposal, from 1947 Bukovi worked on deploying a deep-lying centre-forward who could direct play and pull opposing defenders out of position. All, of course, at club level. In September 1952, newly crowned Olympic champions Hungary faced Switzerland. Sebes again: ‘However fast he might have been, however determined, Palotás at centre-forward couldn’t break down the Swiss verrou defence. 2-0 down on the half-hour, we had nothing to lose. Hidegkuti came on, to slot in behind the attack. He directed play and we won 4-2’. At Wembley in 1953, it took Hidegkuti 45 seconds to score and 90 minutes to outfox the English defence, move after move after move. The Puskás dragback for goal No.3 has been eternally celebrated since – his later lifelong friend Billy Wright famously ‘running to the wrong fire’ – but his switching flanks with Zoltán Czibor to create the chance was itself conceived at MTK. Arguably 6-3 is the most iconic score in football history. Certainly, the man who did most to make it happen, Nándor Hidegkuti, later ran a bar of the same numeric name. It’s still there, the 6:3 on Lónyay utca, run by the indefatigable Marika néni. Once Hidegkuti died, MTK duly honoured his memory by lending his name to the stadium. Partly destroyed by Allied bombing, it remained decoratively untouched for decades. In 1980, it was used as the set for cult film ‘Escape to Victory’, a feel-good football drama based on Hungarian Zoltán Fábri’s award-winning feature ‘Két félidö a pokolban’ (‘Two Half-Times In Hell’). Decked out in swastikas and drenched in irony, the stadium saw Pelé, Bobby Moore and Michael Caine face off against a team of nasty Germans – in a ground that had been built and financed (to the tune of 150,000 korona) in 1911-12 by long-term MTK president Alfréd Brüll. After 35 years of selfless leadership, Brüll had been forced to close his club in 1940 and flee to Switzerland. Tricked into coming home, he was murdered by Hungarian Fascists, either in Kecskemét or Auschwitz, even today nobody knows which. For film director John (‘Maltese Falcon‘) Huston, the MTK ground was representing Colombes, scene of the 1938 World Cup Final and a Hungarian defeat almost as bitter as Berne. Even today, debate rages about team selection, and Mussolini leaning on Hungarian coach, ex-MTK legend Alfréd Schaffer, for him to drop then MTK star József Turay. From November 2014, the bulldozers began to demolish all this history. In November 2015, ex-MEP and new MTK owner Tamás Deutsch, alongside the great-great-grandchild of Kálmán Szekrényessy and sundry players and officials, witnessed the foundation stone being laid for the New Nándor Hidegkuti Stadium. Criticised for the prison-like wall behind one goal, the 5,300-capacity arena at least lacks the vertically challenging terraces that characterised the old ground – imagine a mini-Mestalla with nobody in it. Whether the new stadium will fill out for any match that doesn’t involve Ferencváros, as the former one failed to do for so many decades, is open to question. Salvaged from a provincial past by punk rock and Total Football, Mönchengladbach-born Peterjon Cresswell turned to Europe for work and inspiration. The result is www.liberoguide.com, a digital global travel guide for football fans, personally researched and photographed in 200-plus cities over the last five years. Thanks to two decades covering sport and travel in (mainly) Hungary, Croatia, Poland, Germany and Slovenia, he has also put together some 20 guidebooks to cities such as Baku, Kraków and Vienna, for Time Out and Frommer’s, and writes regular features for ‘World Soccer’. He has talked face-to-face with Ferenc Puskás in the lobby of Budapest’s Hotel Béke for ‘The Guardian’, interviewed Eric Cantona by a pile of sand in Dubai for ‘The Observer Sport Monthly’ and produced a complete European football/travel guide for http://www.uefa.com. Terrific piece, leaving the reader wanting to know even more about the characters involved. Has the Scottish input ever been covered over here? Is there a book to be written? As a 17/18-year-old in 64/65 I played for a club called Penhill Standard, run and coached by an odd one-off called Eric Batty, who wrote as a freelance for World Soccer and Soccer Star (he infamously called England the worst team ever to win the World Cup and the printers rebelled, apparently). Eric worked for the local council in the bowels of Lewisham Town Hall but every summer went away fora month across Europe to interview players (he called Florian Albert “chicken” to his face when I was there) but mainly coaches. I went with him one summer. I’m not sure if we met Béla Guttmann but I remember Eric mentioning him and holding him in high regard. All of Mr Cresswell’s piece brought back these kind of memories, and I’m sure football fans able to step outside the tribal will have loved it as much I have…and want to read more. Ah, Eric Batty. I take it you’ve read the series on the site dedicated to him? Hello. Can you please help? I am trying to find information about jimmy hogan when he was mtk coach in the 1910s. Can you help? I am writing the biography of Hogan and just need information regarding his stay in Hungary. Can I sent you the draft of what I have written so far? Hi – Very many thanks for your message. Around the same era, there were two famous László Budai’s – one is generally referred to as ‘Budai I’, a forward born in 1922, who played in the same great Honvéd team as Puskás etc – and the other, ‘Budai II’, also at Honvéd (hence the indication by Roman numeral), who was also a member of the so-called Golden Team, who played for Hungary in the Olympic final of 1952 and World Cup SF of 1954. The stadium at REAC in Rákospalota, north Budapest, is named after him. I’ve had a quick online search of Hungarian sources and not yet found anything about that particular Tibor László Budai – he wasn’t a member of the Hungary under-16 squad who also (mainly) stayed abroad at the time of the 1956 Uprising. Let me keep looking!